If you’re like us, you always think whatever you’re driving needs more power or another gear. 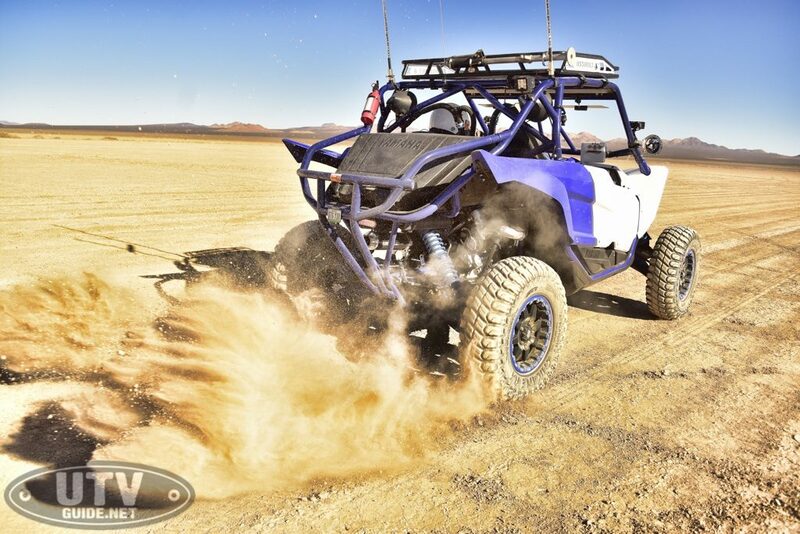 Yamaha’s YXZ1000R has proven to be one of the most fun vehicles we have ever wheeled, whether it’s in the dunes, out in the open desert, or on tight trails. The high-revving engine and sequential manual transmission really put you in control of the vehicle, making it extremely satisfying to nail a double downshift on corner entry and feed the power back in as you cross the apex. Our main gripe with the YXZ1000R is that it lacks punch down low. Previously, we have remedied this by installing a Trinity Racing full exhaust and fuel tuner, which added more power than we initially expected. However, as the weight of the car grew with a cage, long travel, 30-inch tires, lights, and radio equipment, we began to feel like the YXZ needed just a bit more power. 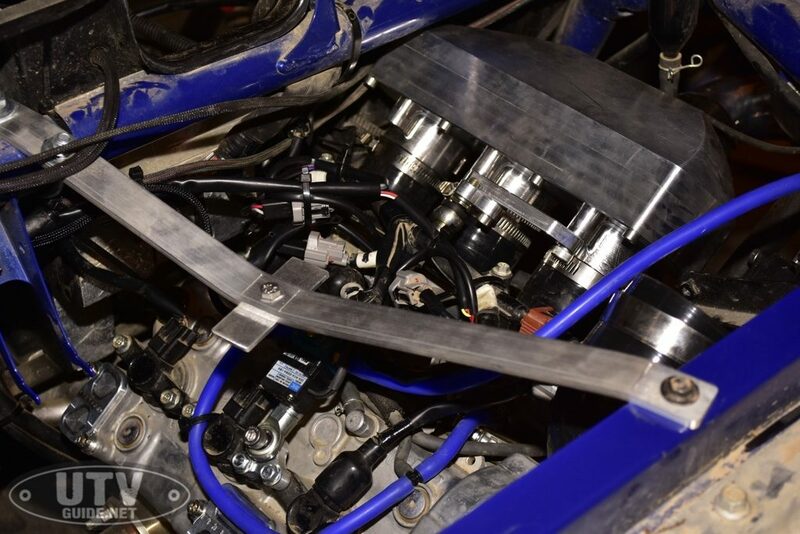 We researched every bolt-on power adder and turbocharger system we could find, but weren’t looking for a full ground-up motor build to support the power. 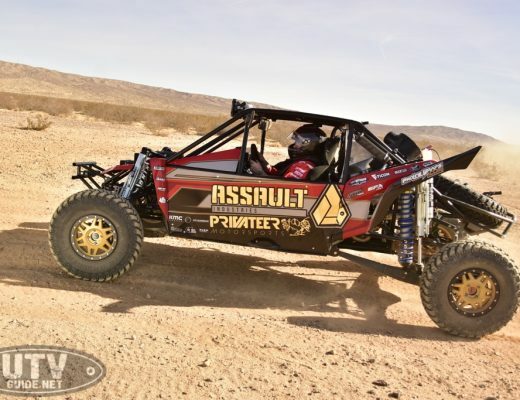 Furthermore, we didn’t long for a ton more top-end power with the car, but really wanted more low to mid punch for tight trails and deep sand. 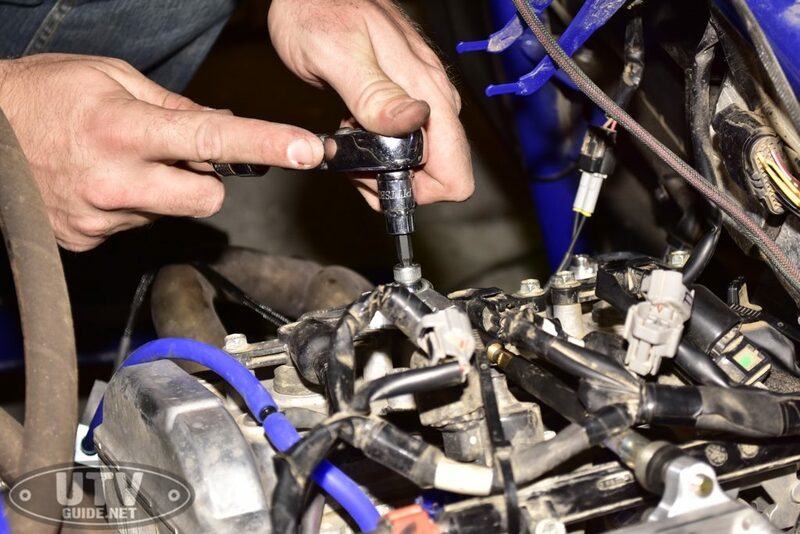 After having a long conversation with Jedd and Jace Packard at the Sand Sports Super Show last year, we lined up a deal to purchase a bolt-on supercharger kit for our long-term Yamaha build. The kit shipped in one large box, arriving neatly packaged and ready for assembly. The only pre-emptive step we had to take was mailing them our ECU, which they promptly had back in our hands in less than 4 days. 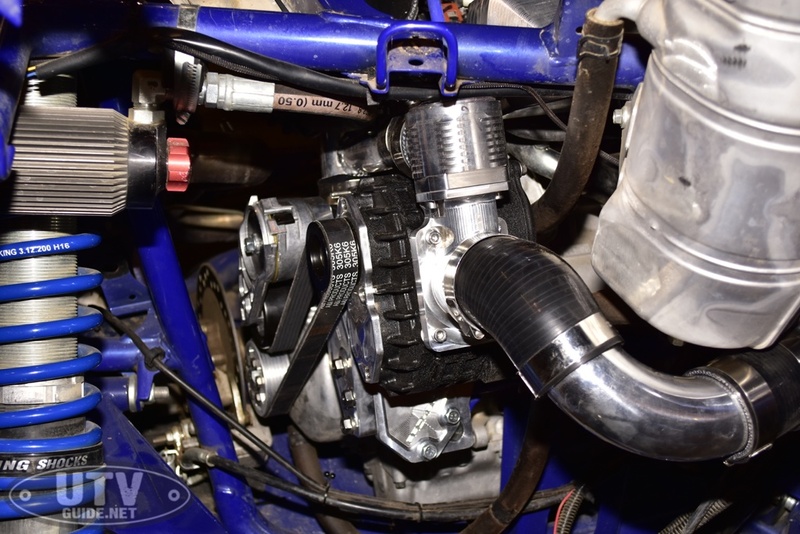 The install is by far the easiest forced-induction swap we have ever done on a UTV. Typical do-it-yourselfers can expect to have this install completed and the car ready to drive in around 4-5 hours. Part of this is due to the open nature of the YXZ’s frame, but you can tell that Packard has invested a ton of time and effort into producing a true bolt-on kit. Read on to see just how the install went, and what we think of the car now that it’s boosted! Packard ships wonderfully detailed instructions with the kit, and they also have PDF copies available for download that make the step-by-step install a breeze. This guide is not meant to be a 100% complete instruction manual, but rather a brief overview of the major steps. STEP 1: The first step is to remove all of the parts necessary to get to the supercharger’s future location. We had a full SSV Stereo system with a subwoofer, a Yamaha GYTR Alternator kit, and a Yamaha GYTR bed storage box on our test car. The subwoofer and alternator kit must be removed prior to install, as they will not work with the Packard kit. We have since modified the subwoofer box for clearance and found another way to mount the alternator. STEP 2: We started by unbolting the bed box, rear fenders, and the bed itself. As you can see in this shot, we had the GYTR alternator kit already installed, which comes with longer oil lines that go from the engine to the dry sump oil tank. Packard’s kit also comes with new, longer lines to replace the factory hard/soft oil lines here. STEP 3: Wrestling the bed out of the frame is by far the toughest part of the install, especially if you have an aftermarket cage. Once the bed pan is out, it’s very easy to get to all of the hardware that will need to be removed and installed. STEP 4: We had to uninstall the alternator kit. 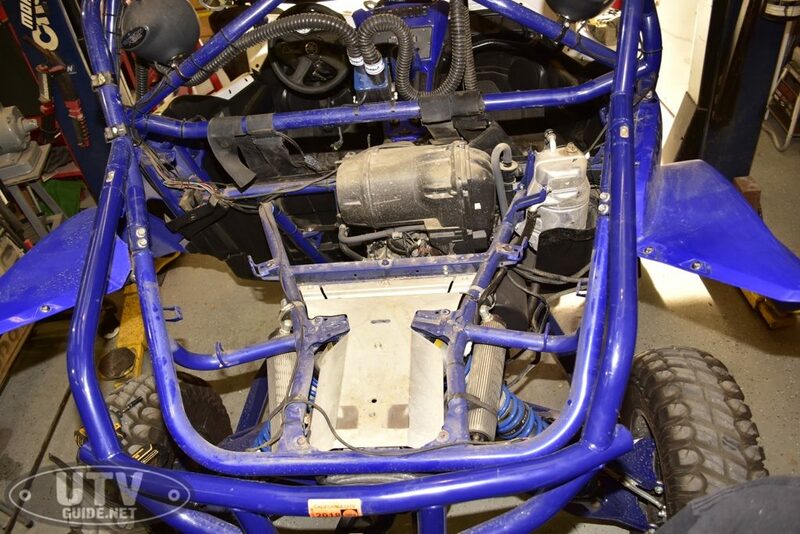 On a stock YXZ, you will be removing a couple of bolts in the farthest outward motor mount on the passenger’s side to hang the supercharger with the supplied billet bracketry. STEP 5: Unbolt the airbox and remove it completely. 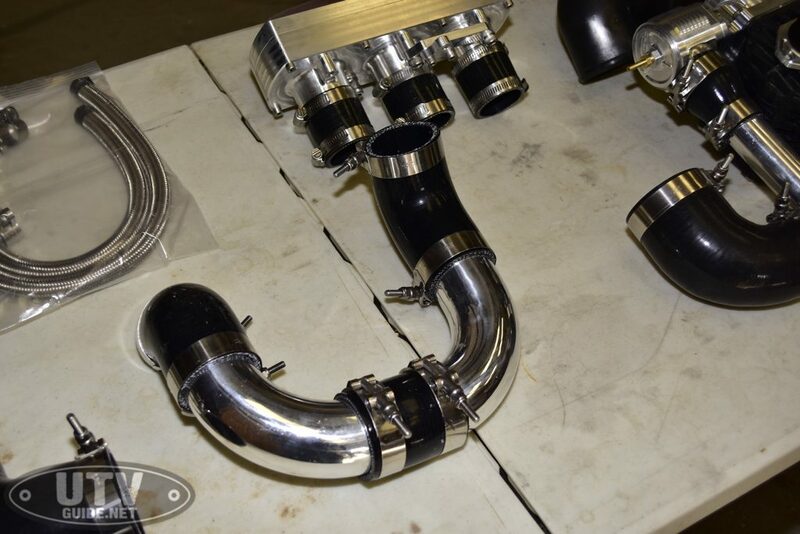 This includes the stock plenum, and comes out as one large piece. Here is a comparison shot of the stock airbox and plenum assembly next to the 100% billet intake plenum supplied with the Packard kit. We still have no idea how they sell this much billet for $2,700. STEP 6: Packard supplies a billet block off kit for some of the emissions equipment that reside on the top of the engine. 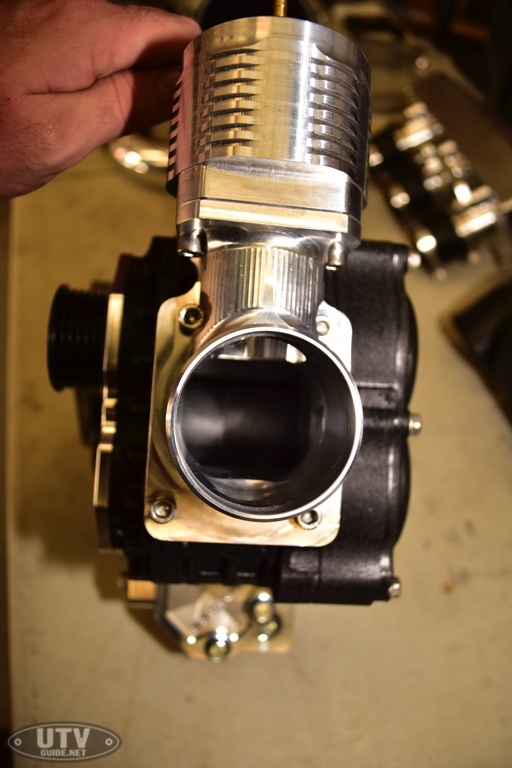 There is a pump with a two-prong factory connector that will be repurposed with the supercharger install to control the wastegate. 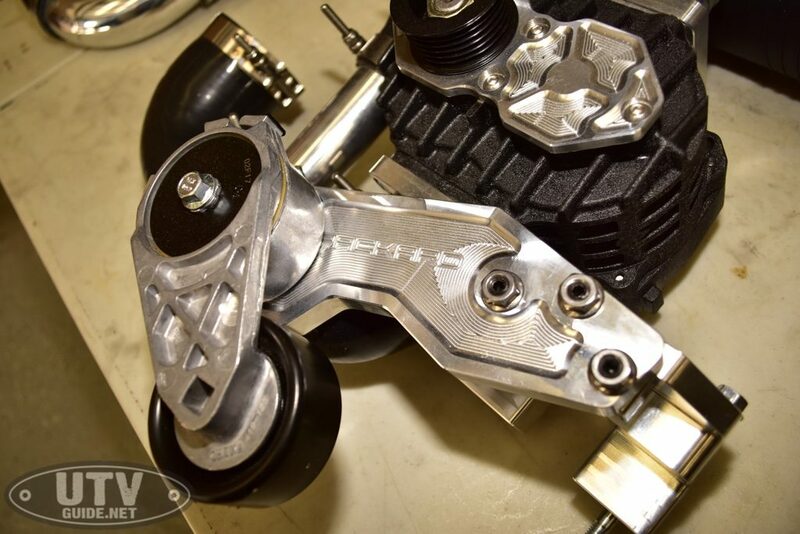 The billet block off plates help dress the engine up as well. In the second picture here, the Y-shaped tab above the billet plate is positioned to mount the intake plenum brace that goes on later. 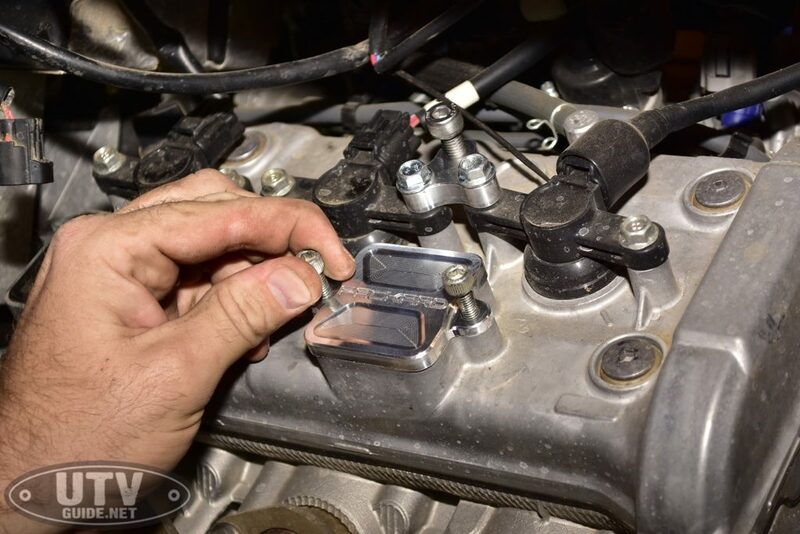 STEP 7: The stock throttle body clamps on the engine side have small aluminum spacers between them in order to limit the amount of compression the clamp can provide. Packard includes smaller spacers to allow a tighter grip with the rubber boots. 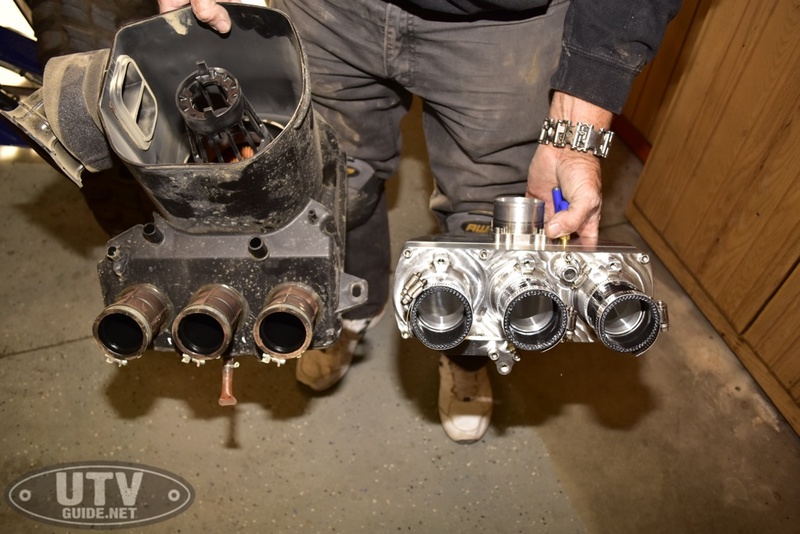 Once these are installed and tightened down, the new vacuum lines must be plumbed to the throttle body and boost controller using the hoses supplied with the kit. 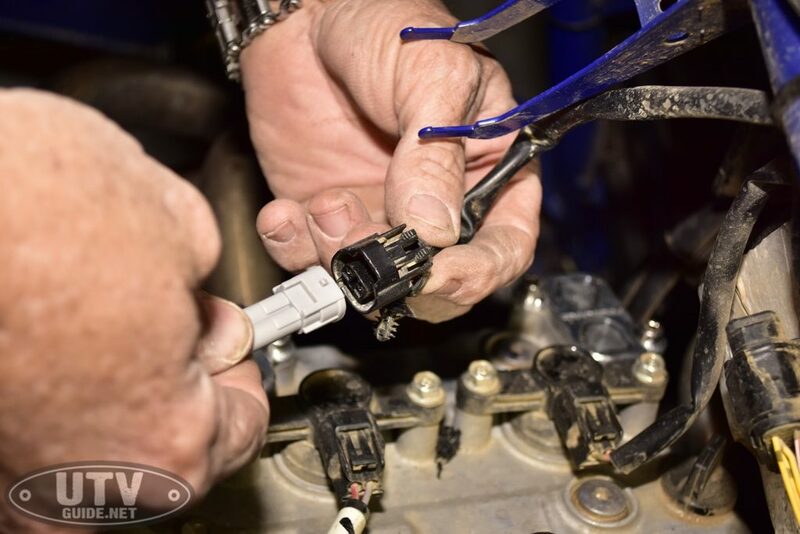 STEP 8: The plug that was removed from the factory smog pump gets plugged into the supplied boost controller harness. This adaptation of factory plugs with the kit really shows how quality-driven Packard’s parts are. 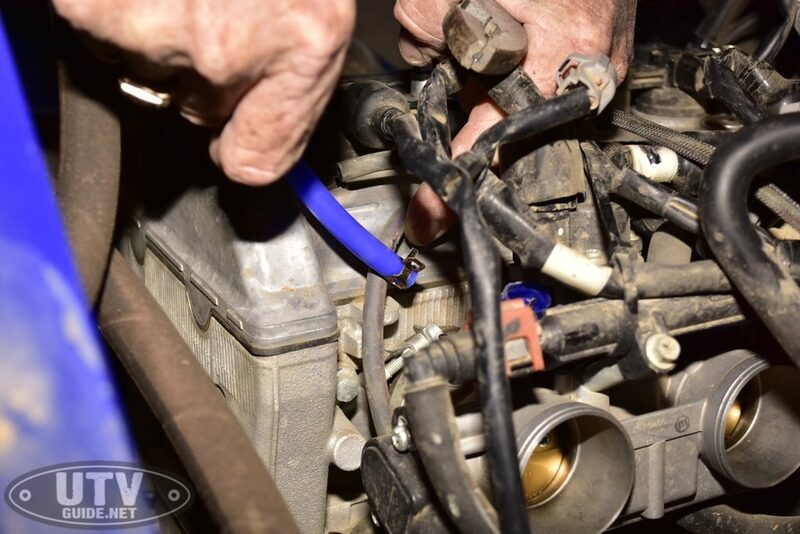 STEP 9: The Idle Air Control valve hose gets attached to the new billet plenum as shown. 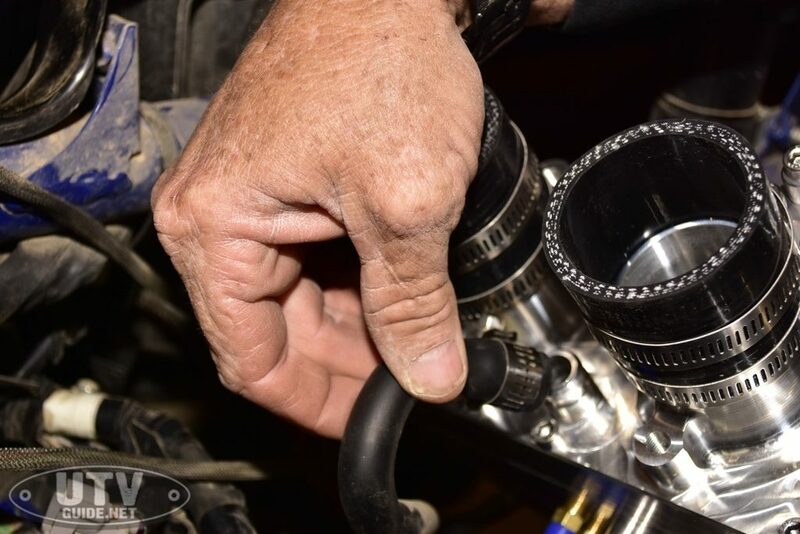 Hang the intake plenum on the throttle bodies, ensuring that the silicone boots are fully seated, then tighten the clamps down. STEP 10: The intake support rod gets positioned over the top of the valve cover and attaches to the Y-shaped bracket installed in step 6. The threaded rod makes adjustment of the support very simple. STEP 11: Next, we move on to installing the new crank pulley. 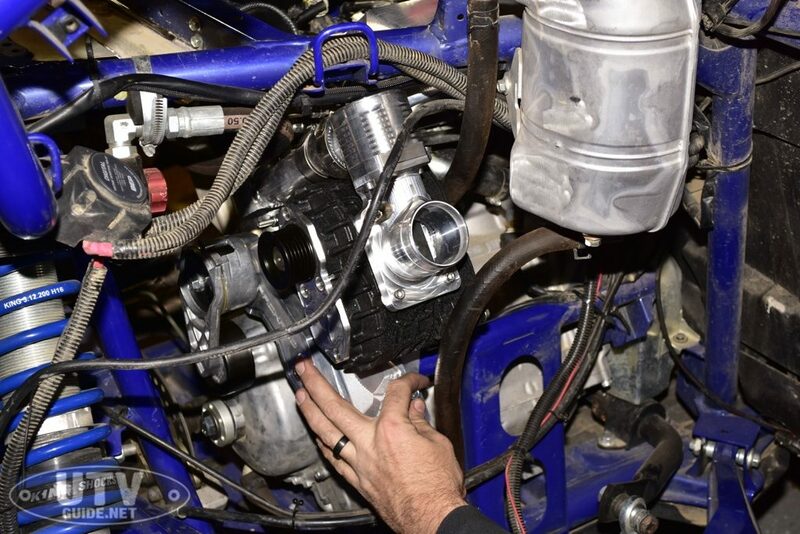 Since our YXZ already had an alternator kit installed, we removed the GYTR pulley assembly to make room for the new billet bearing and pulley setup from Packard. STEP 12: Packard recommends applying red Loctite to the crank bolt threads. We also slapped some assembly lube onto the bearing surface to allow it to slide in cleanly. Slide the assembly into the end of the engine gently, making sure that everything lines up smoothly before tightening. 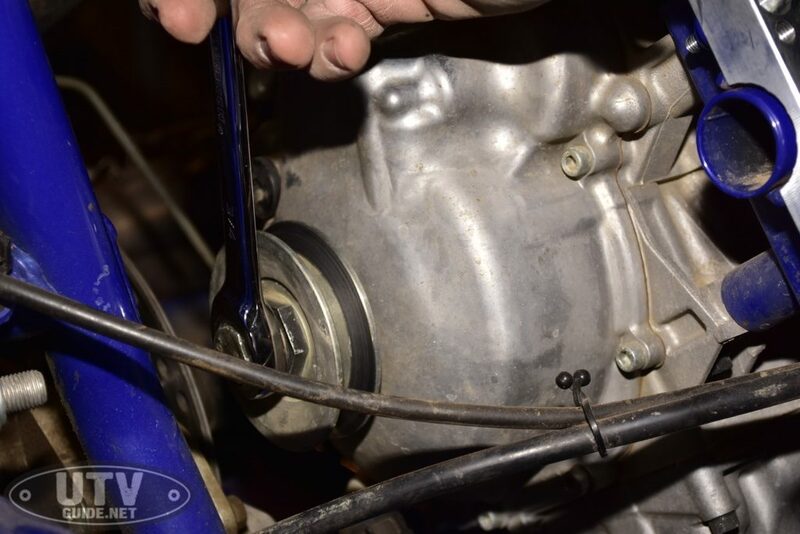 A large crescent wrench is the best tool we found to tighten the bearing retainer into the engine case. Torque the 19mm crank bolt to 90 ft./lbs. by holding the drive shaft at the front of the engine with a pry bar. 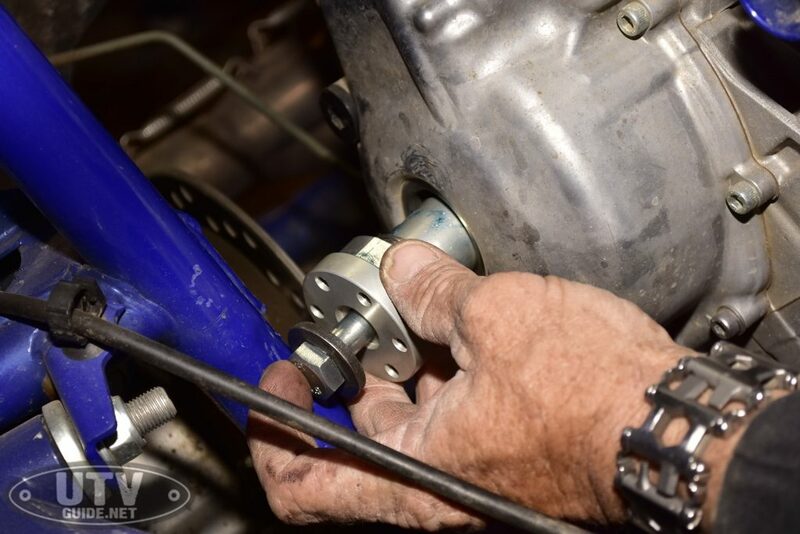 STEP 13: The next step is to install the billet mounting brackets. These fit over the factory engine mounts, and use a mixture of factory bolts and supplied hardware. There is no shimming necessary, as the parts fit flawlessly. 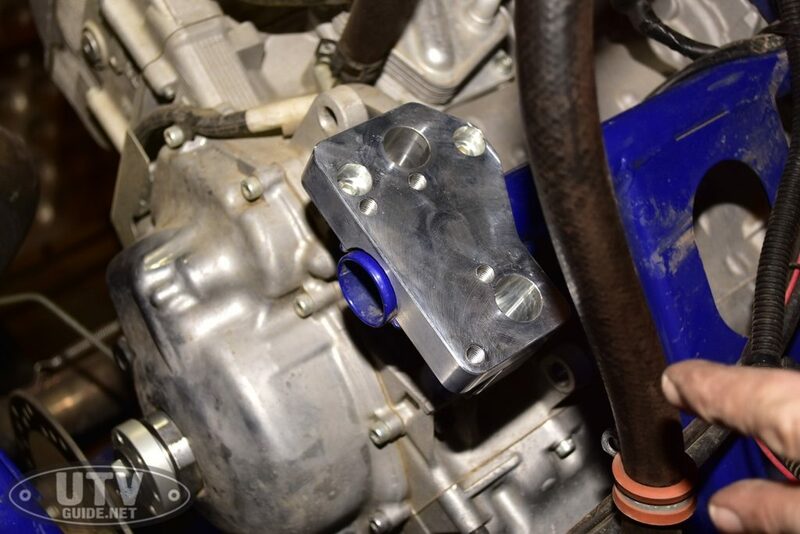 STEP 14: After the billet brackets are installed, you can hang the assembled supercharger in place. It mounts up extremely easily. STEP 15: Install the charge pipe and the intake pipe, leaving the clamps hand-tight so you can position everything correctly. At this point, we put the belt on as well, which uses an automotive-style tensioner that is actuated by a 3/8” square socket end or breaker bar. 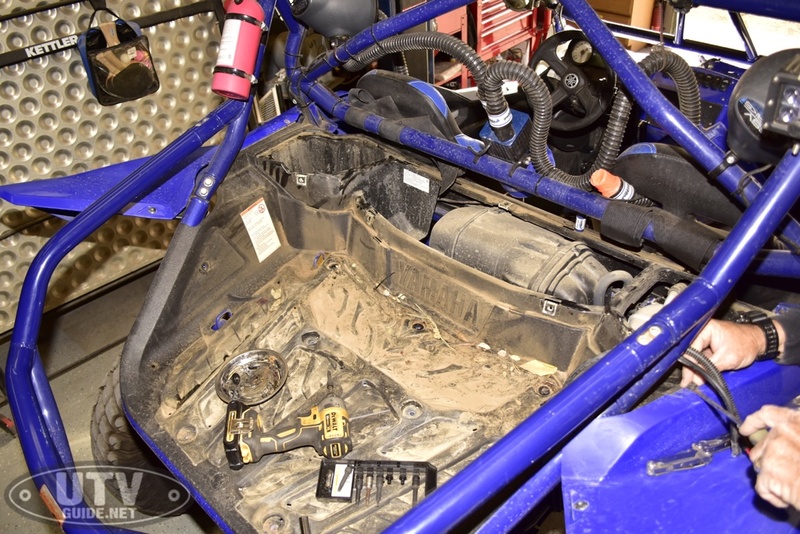 STEP 16: With the supercharger and plenum installed, the new airbox support bracket can be bolted in place. Note that the lower bolt in the bottom-right corner is also a bed mounting bolt, and must be mounted slightly differently than pictured if the bed is to be reused. STEP 17: Tighten up all of the pipe clamps and ensure that the boots are seated correctly. 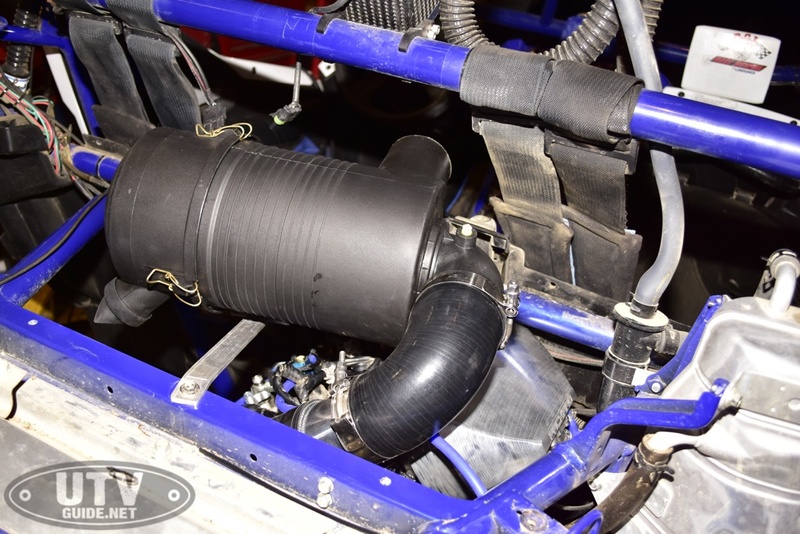 STEP 18: Hang the airbox in place, and attach the intake piping to the end of the airbox. STEP 19: The install is complete! Tighten everything back up and ensure no lines or wires are left in harm’s way. If you received a Dobeck or Power Commander tuner with your order, install using the supplied instructions. The supercharger kit really adds another level of bling to the YXZ’s engine bay. The mixture of billet aluminum and black finishes look fantastic on any color car. Once the supercharger was installed, we got a short night’s rest and loaded up the car to head out for some testing in Southern California’s vast Mojave Desert. 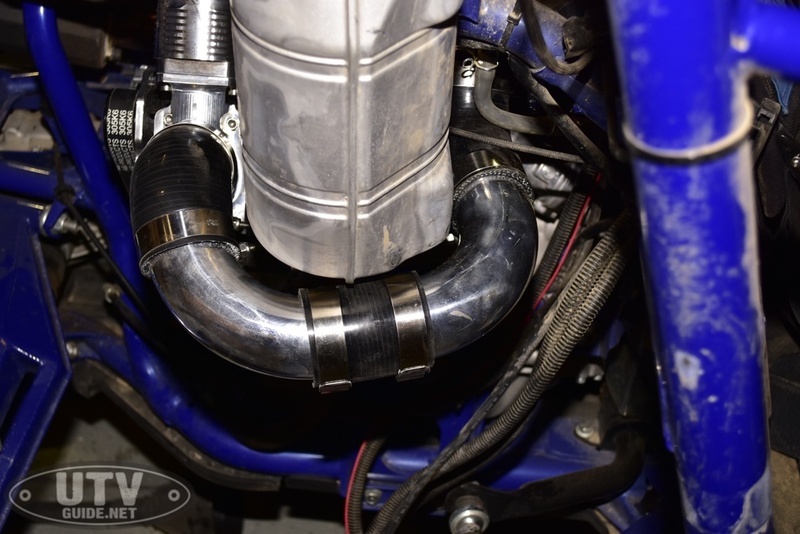 This modification makes itself known the second you start the car, as an instant jump to high-idle at about 1800 RPM lets out a little whine from the blower upon cold start. The revs drop back down to a normal idle position very quickly, and the car idles just like a stock YXZ. Let the clutch out, and the engine chugs along even at idle with far more authority than before. Maneuvering the car at slow speeds is far easier now, which even makes loading the car onto a trailer easier. Seem silly? Wait until the first time you try it! 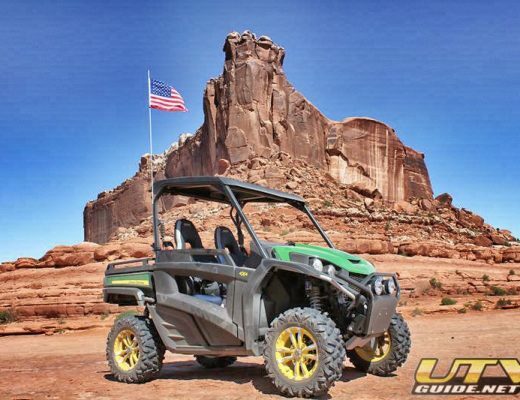 The YXZ’s newfound low and mid-range grunt really make it a blast on the trail. It now has the twist to spin all four of our 30” STI Chicane RX tires with ease, giving long drifts and linked corners a feeling of bliss. 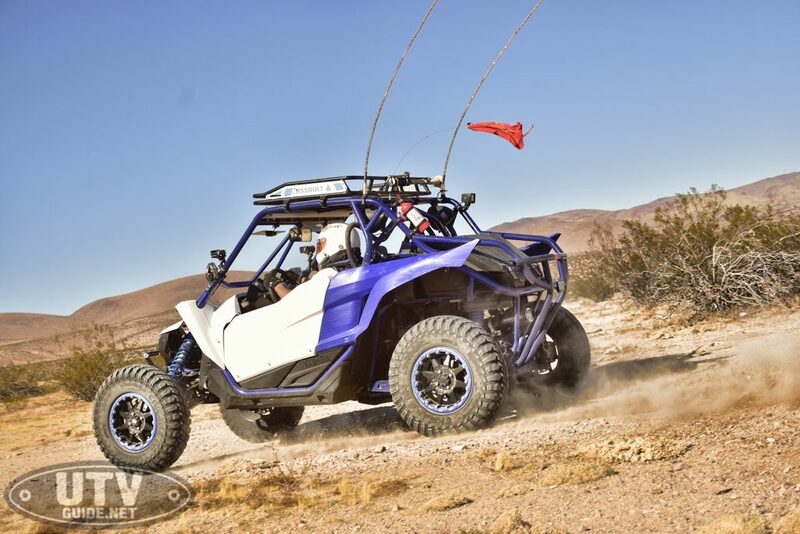 We ran the newly-boosted YXZ1000R using the exact same car setup and location as our preliminary testing with the naturally aspirated engine. 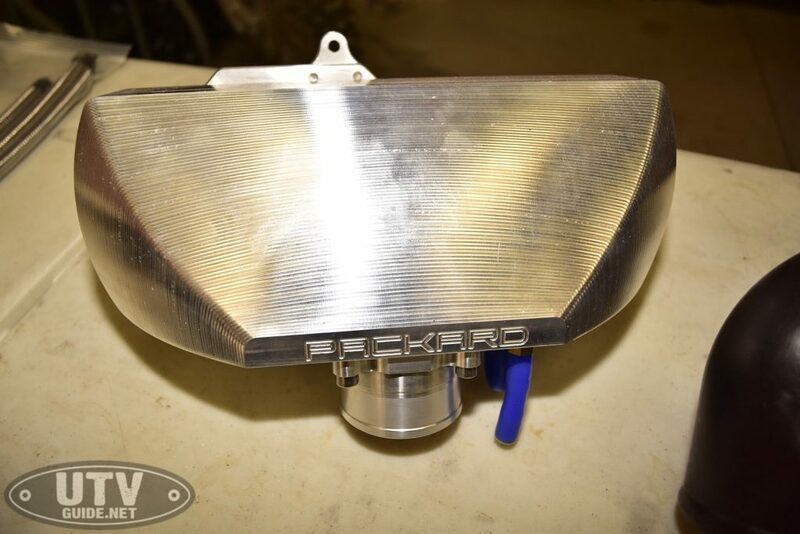 The Packard Performance base supercharger kit targets 4-6 pounds of boost at wide open throttle, so it can be used with 91 octane pump fuel on stock engine internals. No fuel injector swaps, no fuel pump upgrades- just bolt it on and run it. Packard claims a 50+ horsepower increase at the wheels at 4-5 PSI on pump gas. A stock YXZ1000R makes around 80 horsepower to the wheels, which puts this bolt-on upgrade around a 62% power increase. How does that sound? This shot was taken as the YXZ passed at about 65 MPH, just coming over a road transition and touching back down to earth for the first time. Notice the amount of squat as all four tires begin hooking up again- at full throttle, this car MOVES. During acceleration testing on a paved surface, we had a few launches where the YXZ lifted the front tires 3-4 inches off the ground under hard throttle. Initial torque is now a wow factor with this car. The hesitation and lack of power in the low to mid RPM range are filled with gobs of tire-twisting torque, which transforms the entire dynamic of the YXZ. Places where you would be reaching for a downshift in the stock car fade out of memory, as the Yamaha now has the torque to play around on the trail at 3-6,000 RPM without having to hold it wide open. Tractability is incredible, with zero lag and a near-perfect out of the box tune that never once got the car hot. The sound of the car is also transformed, whether you’re listening from inside the cab or trailside. Much more air is being forced through the three-cylinder inline powerplant now, making for an authoritative bark from the tail pipe every time you mat the throttle. Everything we loved about the YXZ’s engine has remained intact, albeit amplified by the blower ramming air into the cylinders as the composite rotors spin at incredibly high RPM. The car becomes easier to drive, more trail-friendly, and a heck of a lot faster. 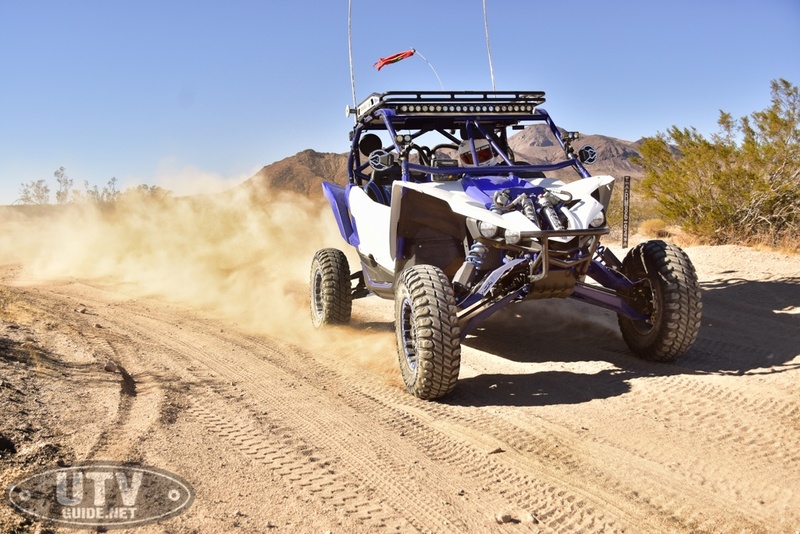 We previously geared the YXZ down using the GYTR torque-assist gearing kit, but now we are searching for a taller 4th and 5th gear to take advantage of the added power and gain some top speed. With our current configuration, the car runs HARD right up to redline in 5th gear, which is indicated as just over 82 mph on GPS. The gears feel shorter as the blower spins the engine through its rev range under load far quicker than before, pushing you back into the seat and stretching your smile with every upshift. 2WD launches are always fun. This shot was taken right as the clutch was dropped- the front tires haven’t even begun to roll forward. The instantaneous boost right off idle makes a roots-style supercharger more favorable than a turbocharger in most riding scenarios. No lag! For the weekend warrior, this upgrade provides a fantastic balance of power and reliability, and in our eyes, it’s one of the best bang-for-your-buck mods you can do to a YXZ. If you’re looking for more power for your YXZ, this is an elegant, bolt-on solution that has provided us immense satisfaction during the last 3 months and nearly 1600 miles of testing. The funny part is, this is Packard’s least expensive and least powerful forced induction upgrade. 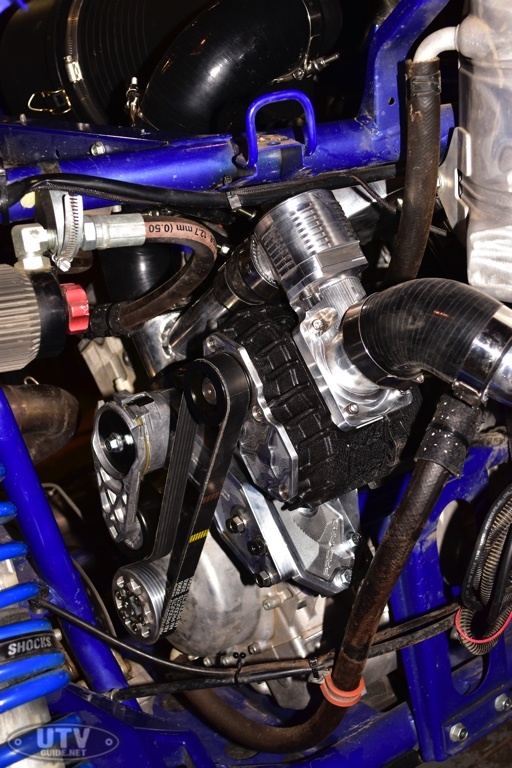 They currently have two supercharger kits (this roots style setup, as well as a larger twin-screw blower) and a turbocharger kit for the Yamaha YXZ1000R. If you’re looking for insane power, Packard can help you build a 300-400 horsepower car fairly easily as well. If you are on the fence, pull the trigger- you will definitely not be disappointed. Here is a shot of the assembled intake piping. Notice the quality T-clamp hardware and braided stainless oil lines that are included in the kit. 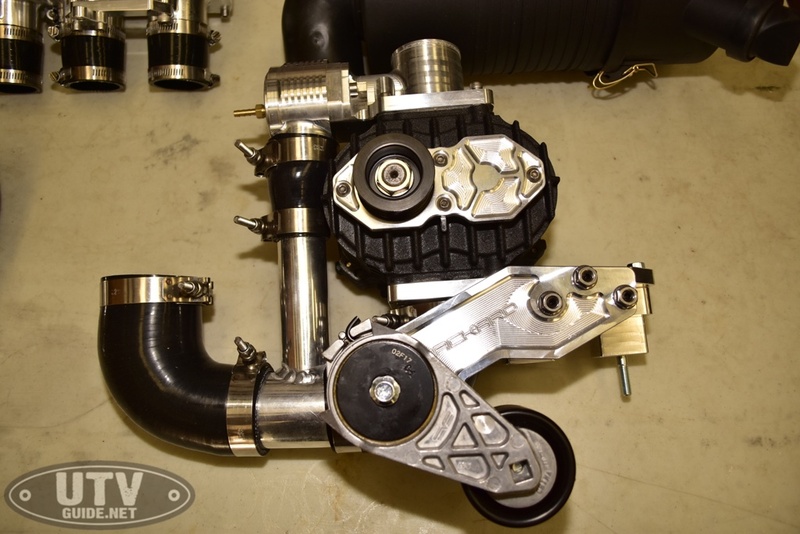 The fully-assembled Packard Performance blower kit is a thing of beauty. Even the blow off valve/wastegate is carved entirely out of billet aluminum. The automotive-style belt tensioner is an elegant touch, and it means you won’t be tightening lock nuts or worrying about belt adjustment. The belt can also be found at most auto parts stores in case you end up shredding one on the trail. The charge side of the blower houses the wastegate assembly. As you can see, there are zero obstructions between the blower lobes and the intake track. 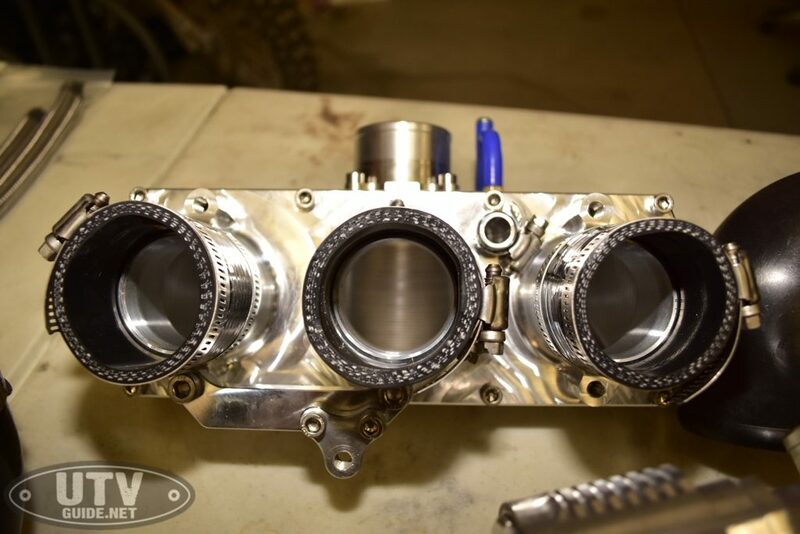 A thing of beauty: the billet intake plenum is our favorite part of the kit. 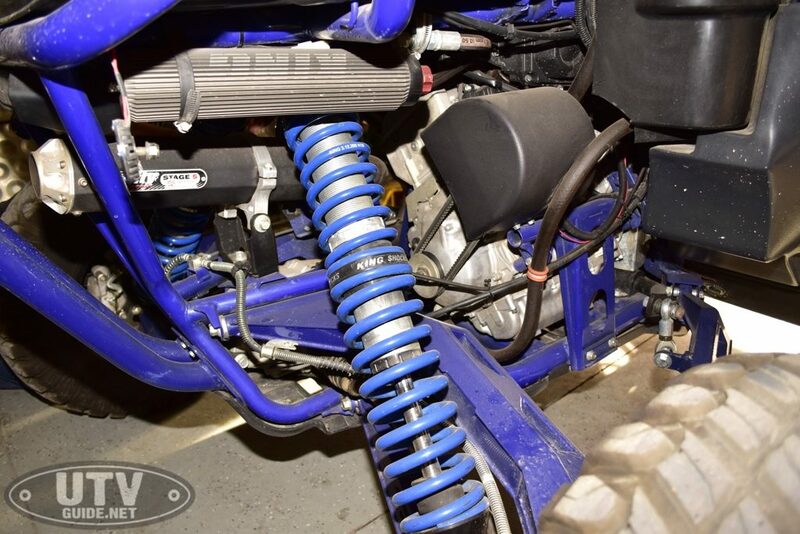 Insert boost here: the silicone boots provide a tight hold on the factory YXZ throttle bodies. Inside of the two-piece plenum, there are zero airflow obstructions. 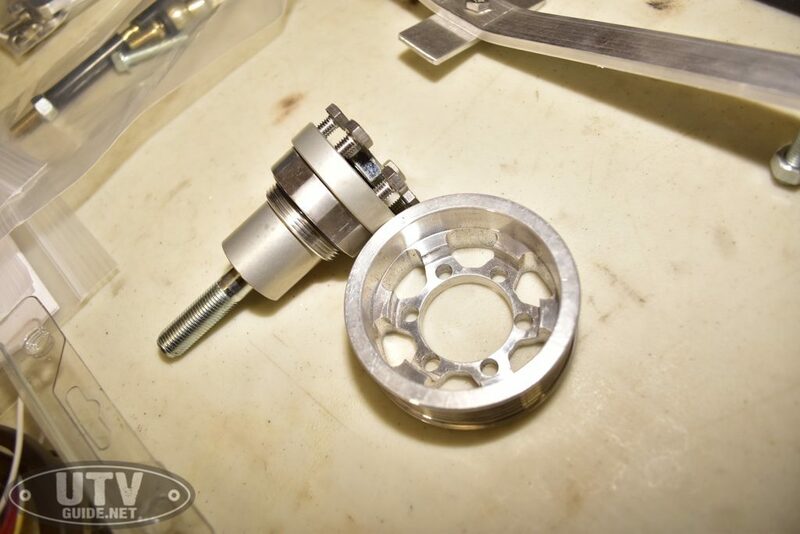 The billet pulley and crank attachment assembly include a high-quality bearing and seals. The ease of installation is icing on the cake.